Presbyopia is an age-related vision impairment. As the tiny muscles controlling the crystalline lens become weaker, the lens cannot be shaped to accommodate changes in distance. Vision becomes blurry for near objects and the individual ends up needing reading glasses. While presbyopia cannot be treated by LASIK, an intraocular lens, also called an artificial lens, can solve the problem. The IOL is implanted in the eye to replace the natural crystalline lens. The newest types of intraocular lenses are multifocal, helping patients to see both near and far. While none of us enjoys the changes in our vision that occur as we become older, it's comforting to know medical science has found ways to correct some of these issues so we can continue to lead healthy and productive lives. 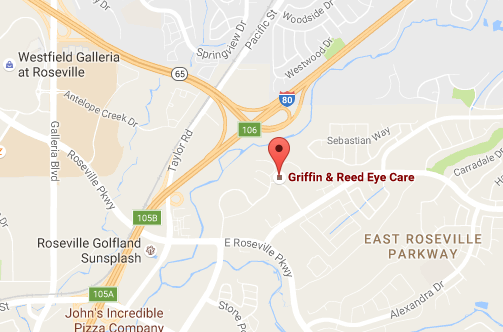 If you are experiencing vision changes or it's time for a thorough eye exam, visit the eye care professionals at Griffin & Reed Eye Care, specialists in visual care and leading providers of Sacramento LASIK. Presbyopia is the inability to adjust vision to see close up due to weakening eye muscles and loss of eye flexibility. It happens to everyone to some degree as we age. Around the age of 40, some people notice they cannot see as well close up as they once could. Their eyes feel more tired when they read, do needlepoint or work on the computer, and they may choose reading glasses to help with their failing vision. Conductive Keratoplasty (CK) corrects presbyopia and creates monovision, adjusting one eye for near vision and the other eye for distance vision. ReStor and ReZoom are also intraocular replacement procedures with the added benefit of preventing cataracts in the future. Brand new procedures, not yet approved by the FDA, may soon be available as well. 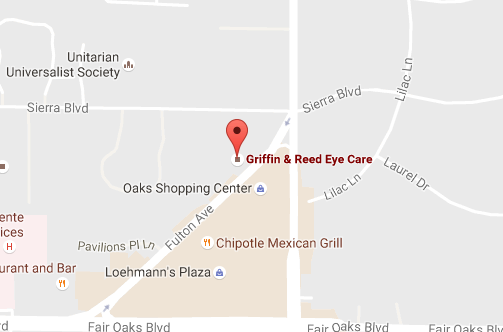 Your Sacramento LASIK professional can tell you more about these promising options. If you're over 40 years old, be sure that every visit to your eye doctor includes presbyopia testing. If it's been some time since you've had a thorough eye examination, schedule one today to give yourself the chance to see the world in a new light!